A throwback to the olden days when tiffin carriers, straw hats and wooden cabinets were the norms, Fat Spoon‘s witty masterminds; sisters Melissa and Michelle reinvigorated grandma’s recipes with an unmistakable dose of charm. 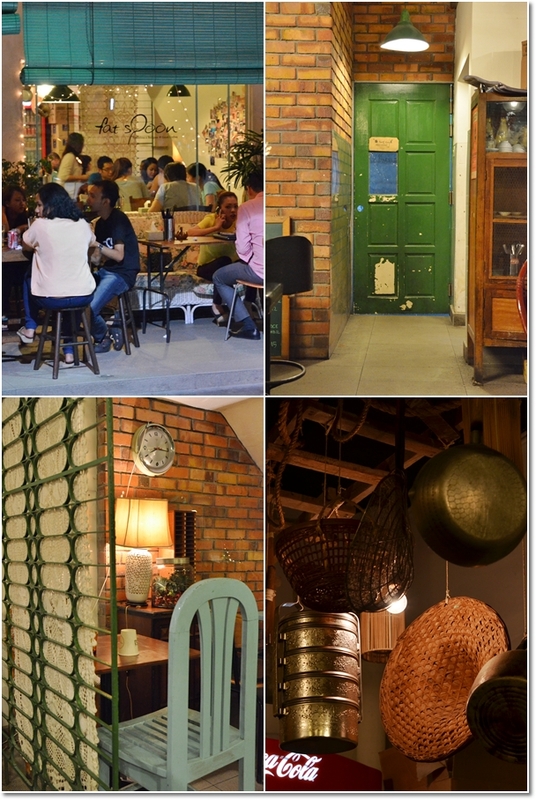 Fat Spoon Cafe did not initially strike me as a quintessentially retro cafe serving fusion food loaded with an extra shot of rendezvous; a taste of what were whipped up in our kitchen when we were small. Promising an experience that most of us (or the kids in us) can relate to, the menu covers everything from burgers to rice dishes with various twists; think along the line of ulam fried rice, perut ikan rice, spicy beef macaroni, watercress soup noodles and a diverse range of desserts that include sago gula melaka, cempedak spring rolls with vanilla ice cream and even the Last Polka‘s creations. 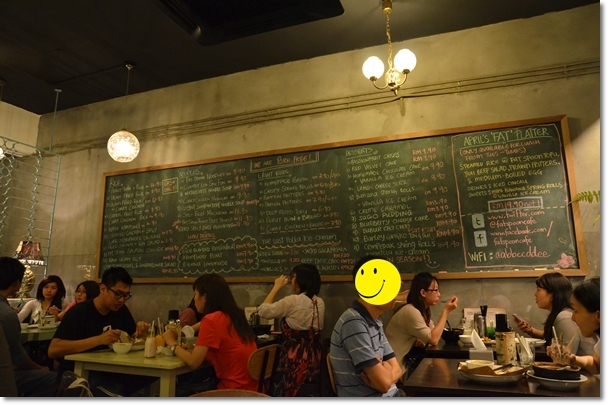 Blackboard, coloured chalks, cramped spaces where you can eavesdrop your neighbour’s conversation ….. If this don’t scream old school, I don’t know what is. This was a Saturday night, I believe. Unless my memory serves me wrong … again. But the place was crowded, amidst a relatively serene Uptown. You know this area; come during broad daylight on weekdays and you’re bound to lose a few strands of hair in search for a parking space. But after the sun has set, luck will be on your side … and if you’re here on weekends, voila! You can literally park in the middle of the streets. Kidding. They still double park near to Chatime-Snowflake-Zen Q-Blackball row. Madness. Don’t this just make you want to tear the menu out and dive into the story? 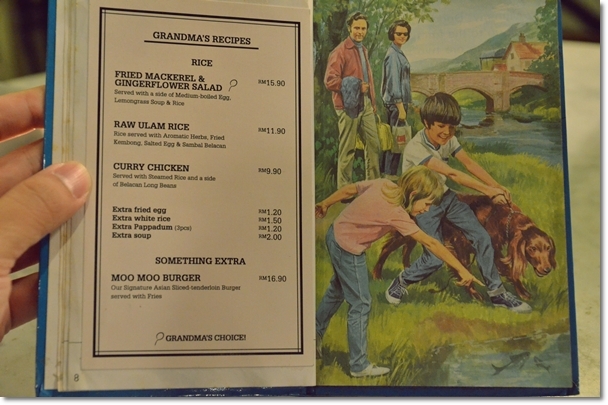 Menus come in the form of … storybooks. Seriously. Recycling childhood favourite storybooks (the Peter and Jane series), flipping through the battered pages felt different. Like as though you’re actually reading their life stories beyond the food they represent. These are home cookings they intend to bring to the tables of diners commonly rushing through their meals; routinely incorporating unhealthy, over-processed stuff. 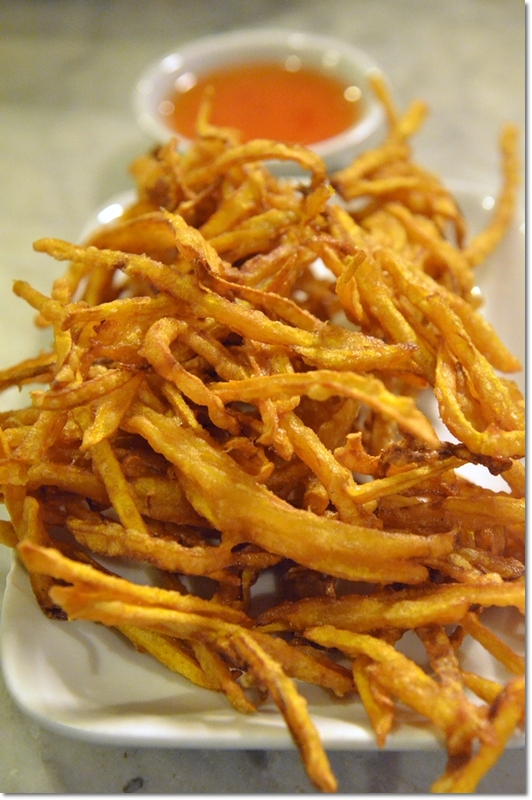 Pumpkin fritters (RM5.90/USD2) – Ingenious creation of a crazily addictive starter; shredded pumpkin coated in a light batter and deep fried to a crisp. The accompanying sweet chili sauce was not necessary though, for the sweetness was complemented beautifully by the salty batter. Regardless of whether you’re a rice, noodles, bread or desserts lover, you’re bound to find something that tickles your fancy. 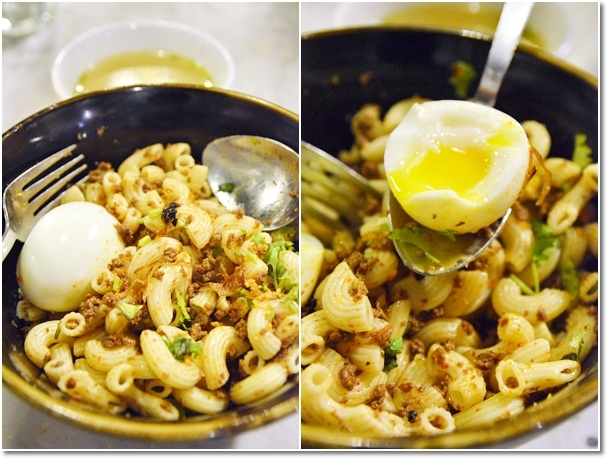 The Dry Spicy Beef Macaroni (RM11.90/USD4) is an extension of their classic Macaroni Beef Soup; something the sisters conjured up from mere leftovers back then, and translated into something novel; heartwarming bowl of macaroni with minced beef and slight spiciness, garnished with lots of chopped coriander and an egg that was boiled to a medium-done consistency. Runny, golden yolk within flowed onto the noodles and lent the dish with a certain moisture. Different than the usual manner people treat their pasta, this had Asian written all over it. Blasphemy for creating such abominable fusion? Nah ….. just something you’d be able to replicate at home. The Thai Fried Chicken with rice (lost the receipt hence had no idea what the actual name was) appeared to be lacklustre; like an ordinary plate of individual portion chicken rice. True, the fact that a fried egg on top of the white rice, a mixed salad on the side and a bowl of chicken soup did scream conventional. Not complaining, but this was nothing beyond average; tastewise. Maybe the Ulam fried Rice or Perut Ikan rice would be better choices? 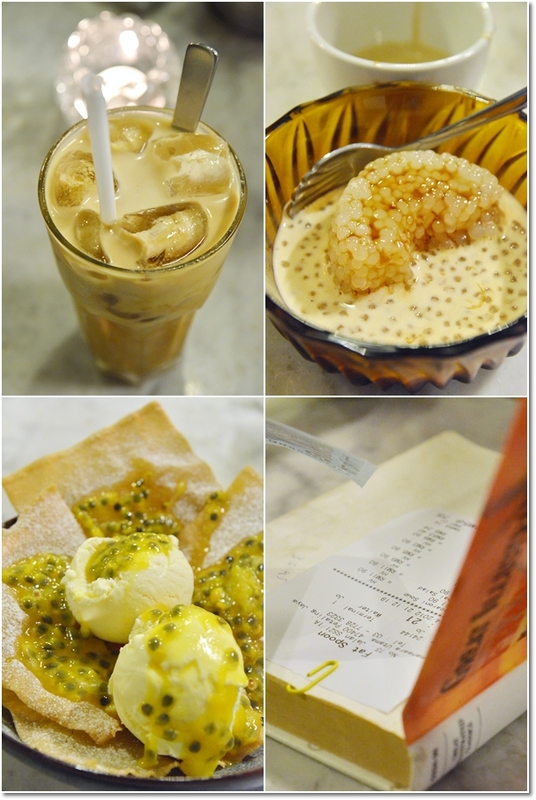 Iced Latte was a diluted mess, but the Sago Gula Melaka (RM3.90/USD1.30) and Passionfruit Crisps (RM9.90/USD3.30) were good endings to the otherwise humble feast. 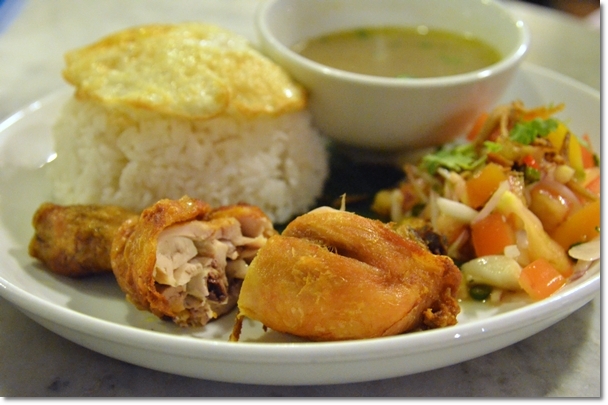 Seemingly, their Cempedak Spring Rolls are to-die-for. Yet, the cempedak season has not beckoned thus we had to settle for a good old serving of Sago Gula Melaka Pudding which was good, and the Passionfruit Crisps; a holy matrimony of warm and cold, sweet and sour, soft/creamy and crispy all in one. Break the pieces of crisps and just mash everything together to create the slurry of tarty passionfruit with crunchy seeds and stark cold vanilla ice cream. Will be on the radar for another round or two for at least they serve comfort food at reasonable prices instead of charging an arm and a leg for homemade fares you probably won’t find within the same premise elsewhere. 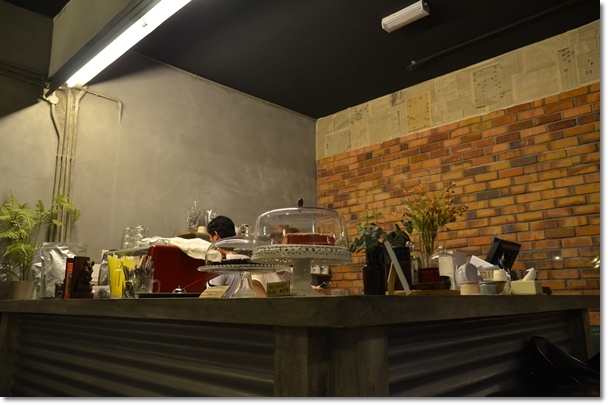 Business hours: Tues to Thurs: 11.30am to 3pm‚ 6pm to 10pm. Fri to Sun: 11.30am to 10pm. Closed on Monday. Planning to visit them this weekend! Truthfully, yeah. The mains were okay, just nothing to shout about. Maybe that’s the essence of home cooking, or grandma’s recipes.